Ellie is a wonderful cook who came up with a great use for all those green tomatoes gardeners pick when frost is forecast. 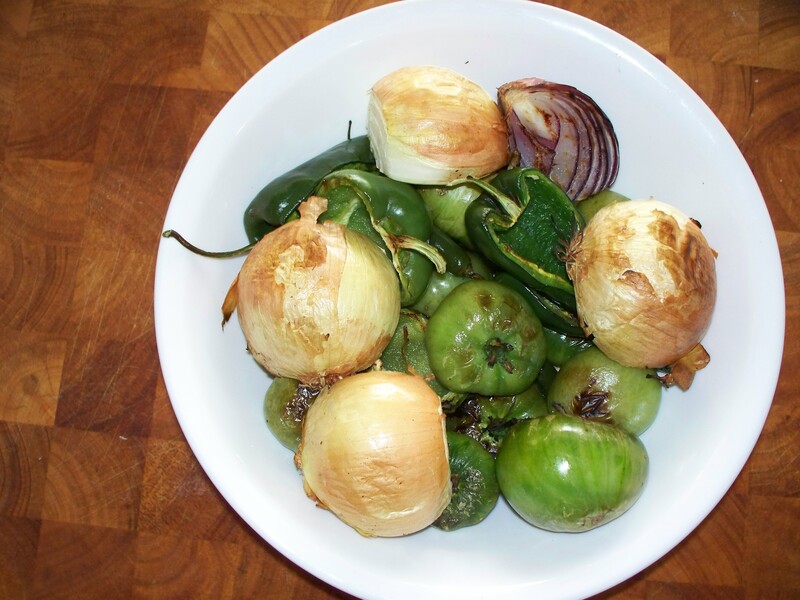 Ellie used green tomatoes to substitute Tomatillos in salsa. This is how I used her recipe. 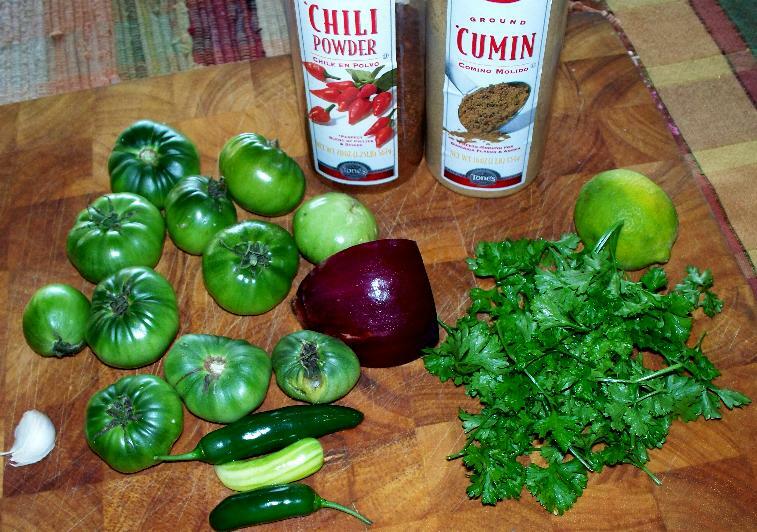 Grill the green tomatoes, onions and peppers you are going to use in the salsa. Here you decide for yourself how much you want to use of each. Add chili powder and cumin to taste. Above are the ingredients I used except for salt and pepper. The peppers are a Serrano, Fish pepper and small Jalapeño. Cilantro would have been better but I didn’t have any, so I used parsley. Since I was grilling the vegetables, I added some for another recipe. After they were off the grill in the bowl I put a plate on top to let the heat internalize. I usually don’t peel the peppers or tomatoes so I try not to get them too blackened. 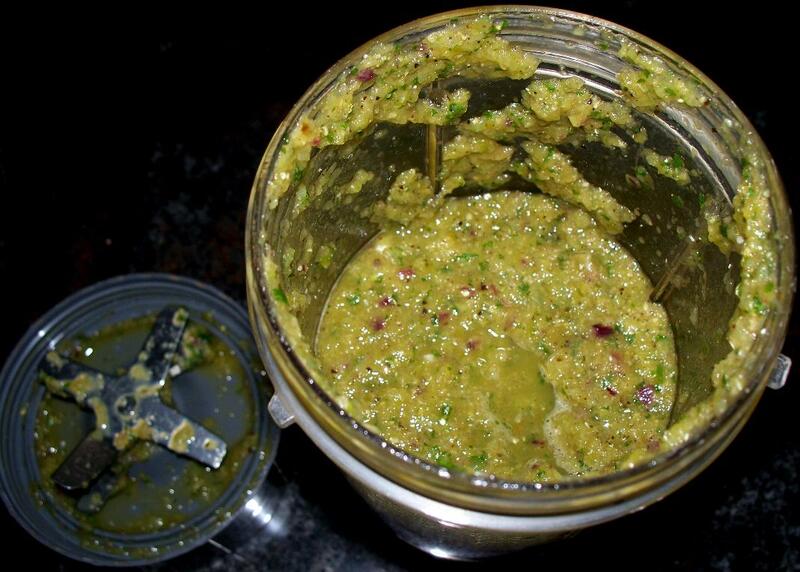 I put the cooled grilled vegetables, juice of 1 lime, a garlic clove, handful of parsley (cilantro would be better), 1 teaspoon each of chili powder and cumin, and salt and pepper to taste in my NutriBullet. It took a few pulses to get it to the consistency I wanted. What a tasty idea. 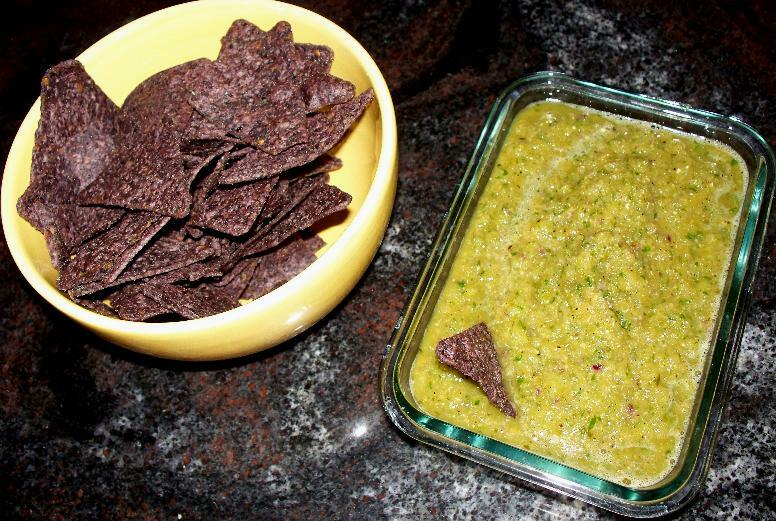 Also used green tomatoes in this Chili Verde recipe.